Actor Tom Hiddleston has shut down critics by insisting his love affair with Taylor Swift is the real thing. The Avengers star began romancing the "Bad Blood" hitmaker just weeks after she split from DJ Calvin Harris, her boyfriend of over one year, in May. Since they started dating last month, Tom and Taylor have been traveling the world together, taking in romantic destinations like Rome, Italy, while the couple has most recently been enjoying themselves Down Under in Australia, where the Brit is filming his upcoming movie Thor: Ragnarok. Their love affair appears so over-the-top romantic, many critics have wondered whether the relationship is real, but Tom has spoken out to assure naysayers he and Taylor are indeed head over heels for each other. 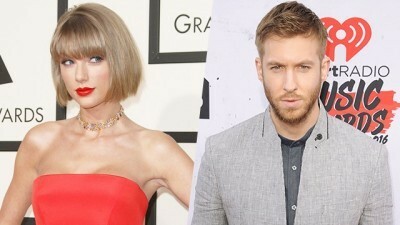 The actor’s public declaration of love for Taylor is grabbing headlines just one day after she found herself caught up in a feud with ex Calvin over his new Rihanna hit. A representative from Swift’s management team confirmed she wrote the tune, titled "This Is What You Came For," despite reportedly agreeing to keep her role in the songwriting process anonymous, using a pseudonym instead of her real name in the writing credits. The publicist’s writing revelation upset Calvin so much, he decided to vent his frustration on Twitter on Wednesday. Harris then got even more personal, calling attention to Taylor’s new relationship with Tom and her storied feud with fellow pop star Katy Perry in further irate messages.